Studying can be a bore, especially when you are in your dorm room and there are so many distractions! I’ve compiled a list of some of the best study spots around campus that will keep you feeling productive and help your concentration for this new semester. 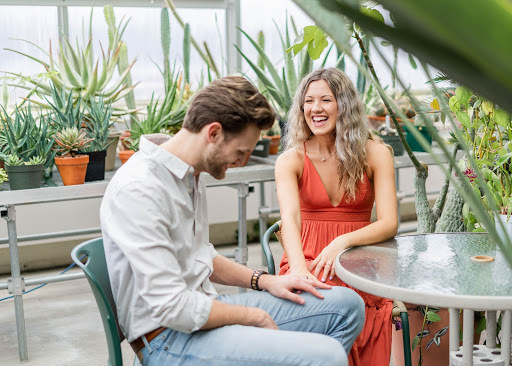 The EMU Greenhouse:The greenhouse is connected to the Mark Jefferson Science Complex, and is open from 8 am-5 pm during the week. The greenhouse is beautiful to relax in and they have a study table for you to do your work around all of the plants. It is quiet, so you are able to fully concentrate on studies and getting your homework done. The COB Study Rooms: If you are a business major, it is much easier to go study at the College of Business. They have many different quiet study rooms, and there is more parking available so you don’t have to walk in the cold very far. The COB also has an Eagle Cafe located inside, so you are able to grab snacks and drinks during your study sessions with ease. Outside of the Student Center: On a warm spring or fall day, the best place to be is the Student Center. On the patio, there are an array of tables right by the pond, and it is the perfect place to unwind and focus on studying without being cooped up in a room. Grab a coffee from Starbucks right next door and spend your day studying AND soaking up the sun (nothing gets better than that!). Study Lounges in the dorms: Sometimes, just getting out of your room can do the trick in making you more motivated! During my times in the dorms, I would always do homework in the study lounge on my floor. It’s only a few steps away, but it would get you away from the distractions of being in your room. Children’s Literature section of the Halle Library: Of course, the library is arguably the best place to crack down and get things done. However, I find myself most productive on the second floor, near the children’s books! It is a happier environment, and I feel like it usually isn’t as crowded as the rest of the library. Overall, our beautiful campus has so many places great for studying, but these are just a few of my personal favorites! Check them out over the course of the semester, and maybe you can find yourself loving them just as much as I do! I’m Sami, and I’m a junior here at Eastern! My majors are both marketing and communication, and in my free time, I work as a photographer and for the Detroit Tigers on their Energy Squad!